Kimbro Mechanical is a full service HVAC-R mechanical contractor licensed in Tennessee and Kentucky. We provide facility owners with sales, service and technical expertise for the maintenance, repair, and installation of industrial and commercial heating and air conditioning systems including boilers, process chillers, centrifugal chillers, commercial refrigeration, and system controls. Each customer is assigned an account manager and contract administrator. Our service technicians are managed by a service manager with over 30 years in the industry. 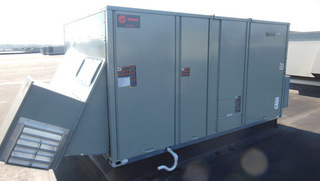 We understand the costs associated with maintaining your HVAC equipment and manage those costs to maximize the life of the equipment in your building. As we perform work on your facility, you will receive tasking information on all the work done on each piece of equipment. We use detailed task sheets for all the equipment we service for our technicians to use during each maintenance visit. A copy is provided to you after each visit for your inspection of our work. We make every effort to use the same technician on your facility for all the maintenance and service work required. This allows our technician to become familiar with your building and your staff to know our technician. Backup technicians are assigned to be available during vacations or in the event of an emergency when your regular technician is not available. Proper maintenance of your equipment ensures maximum useful life. In addition utility costs are minimized. But best of all preventative maintenance minimizes costly downtime detecting components that are likely to fail and replacing them before failure occurs. Every property has its unique challenges. We take a fresh perspective for each. Our maintenance agreements are structured specifically to each property. We work with your maintenance staff to manage the facility by providing technicians that complement the existing staff to any level that is required. We start with five different service levels and then customize the maintenance plan to meet our client's needs. Our Standard PM Agreements start with quarterly maintenance and filter changes with belt service and annual coil cleanings for all condenser coils. Included is a cooling and heating startup service at the beginning of the cooling and heating seasons followed by mid-season inspections with filter changes at each of the four visits. This service level provides for standard maintenance but includes all labor costs for repairs as well. There is a separate charge for parts, but all labor charges are included in the base contract amount. This is the highest level of service available and includes standard maintenance and all other costs for repairs to covered equipment, both parts and labor, but excludes electrical power wiring & disconnects, natural gas service, water service or acts of nature to the covered equipment. This includes mechanical components such as motors, valves, compressors and heat transfer components such as coils & gas fired heat exchangers. This provides a fixed monthly cost for all HVAC maintenance and repair for the customer. This puts the cost control and the risk of non-performance in our hands. While proper maintenance will minimize the utility costs for operating your equipment, an energy management system (EMS) or automated building control system (ABS) can further improve on this by controlling the operating schedule and temperature set points. We have installed control systems under Energy Performance Contracts specifically for this purpose. We can also work with your existing EMS to troubleshoot your comfort issues and advise on how to setup a schedule and program. When repair is no longer an option or you have a special project or expansion you need to address, we can replace your existing equipment or install new equipment to handle any size building. We can work directly with you, providing engineering services and acting as the prime contractor or we can work with a preferred general contractor to install a project already fully designed.